They are thrilled to introduce they very first Pink party! You’ll be the first to taste their newly released 2018 Rosé, paired with delicious wood-fired pizzas. 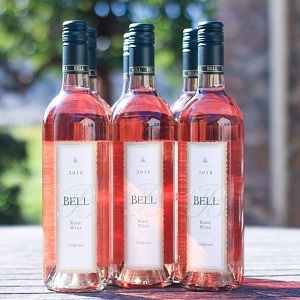 Join them on here at Bell Wine Cellars, and express your creative self with painting in the vineyards, or simply enjoy the spring weather on their patio and garden with an acoustic live performance by Jen Swift. This event has a very special significance for them. They will be joining forces with Send me on Vacation, a charitable organization which sends recent breast cancer survivors on a much-needed vacation. 20% of the proceeds of wine sales will be donated to this wonderful foundation. You’ll be able to meet founder Cathy Backus and hear about this amazing organization. Bring your friends and don’t forget to wear pink! Space is limited to 78 guests and this is a 21+ event. Members may purchase up to 4 tickets at $75 each. For non-members and additional guests, tickets are $100 each. No refunds after May 4th. Ticket purchase required by May 3rd.